Excellent article in Shields Gazette tonight, part 1 of 2. 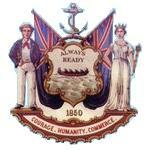 Tells a good story and history of South Shields FC. the director who reformed the club in 1974 was Martin Ford not Michael Ford-he is still alive= I used to drink in his pub! who wastes their money on that rag? Ord/Sungonein/Shieldsman etc etc ad infinitum ....For your information and enlightenment personally, what the Shields 'Gazette' has actually published is no more than space has allowed - as the assistant editor has informed me as being only a truncated/precis of a much more documented account of club history in all its incantations that I provided and with specific reference to your personal recollections of post 1974 club history. Given the odd error that is apparent is no great sin on their part. If you consider the local newspaper of such poor merit why then buy it in the first place ? Otherwise what is glaringly apparent and plainly obvious to all is the sole sentiment, motive and unaltering agenda implied and implicit in all your comments and viewpoint of an anti-Shields FC tirade regardless of any opinion otherwise. Never ever a whisper of credit in any shape or form, when one recalls but two years ago SSFC winning both the Northern League Cup and the JR Cleator Cup against Spennymoor at the Brewery Field, or three years ago at this time in the season being actually third top with nine consecutive wins to its credit, totally ignored as if they never happened. All this stems from comments allegedly made to you by a former manager in response to your printed insults on this forum about his personage as being in your opinion unsuited to coach school children in the pursuit of his private business, sport education. Since which this unending invective has continued, irrespective of whichever club personalities involved, but just the entity of SSFC is sufficient to attract and denigrate if at all possible on any subject, to suit a personal objective of inflicting whatever damage is possible, and to interpret any post to this viewpoint. If I was promoting something that entailed raising money I would want to ensure that every detail is absolutely correct and evey I was dotted and every T crossed.They are not odd errors --they are glaring- As ususal when someone points out something you take it personally and slander the person who comments. My point is that a professional promotions company would have taken a much different approach to promote the future- because that is what this is about-not a club in 1923---including what the benefits to the community would be with a picture of what a new ground might look like in the future. have a look at Gatesheads plans and see how they have promoted their vision to the public. As for buying the rag-I dont-I I stopped buying it years ago along with thousands of others who realised it wasnt a paper for the town and is run by amateurs. it is accessible online which was another point I made earlier that the circulation is only one small avenue for this promotion. If marinersteve cant find it think of all the other people who dont buy this rag and catch up on line and dont go to the local football section. Rather than berate me you should get back to the "reporter" in question and maybe ask them what the hell they are doing-print an apology and correct the errors. Far from wanting anything to fail you are totally way off the mark but it riles me to see opportunities lost and c**k ups made. SUNGONEIN - If in your considered opinion, you now contend that you have made your point with reference to all your perceived possibilities and aspects thereof with particular regard to the promotion of the current attempted purchase of Filtrona Park, then why not now leave SSFC to work out its own salvation ? Your particular comments are neither welcomed nor appreciated. The same applies to the team manager and the playing staff, if all such in both cases were well meant and sincere some points could be worthy of thought, however they are not and come from a different viewpoint with another objective in mind. Thanks for links - read it all now. Given the tendency of papers never to print what you send them ( I do press releases twice weekly) it's a fair summary in my view, though yes a few slips like the dating of the team photo etc - Len Smith leading the 1965 pack in the all white. Anyhow the amont of coverage in itself is a good thing and will bring awareness if nothing else to more locals. Nice to read some opinions of the Gazette on here. As always, we strive to serve not just South Shields, but also the wider South Tyneside community, with a small (possibly the smallest for a daily newspaper around), but extremely hard working and dedicated staff. We will get some things right and occasionally others wrong. But we continue to punch well above our weight to keep the 'local rag tag' (as vulgar a description as I've ever heard) producing good quality journalism and informing, entertaining and educating the borough and beyond. While I've not been closely involved in the history articles or those connected with the share scheme, anyone who would like to contact me personally to discuss constructively any issues surrounding our coverage, rather than simply criticising on forums, is more than welcome to get in touch. Feedback is welcome as we want to improve our service to the readers.